The Bf 109 K-4 is a Rank IV German fighter with a battle rating of 6.0 (AB), 5.7 (RB), and 6.3 (SB). It was in the game since the start of the Open Beta Test prior to Update 1.29. The K-4 is the pinnacle of the famed 109 series. The `Kurfürst´ frame is the last iteration and was focused on ease of production rather than performance, yet it features the best power to weight ratio and acceleration of any 109, turning this machine into a beast. However, the age of the design is showing with bad high speed characteristics. Use your outstanding climb rate and keep speed. Your main principle of combat should be energy fighting tactics. Up to its top-speed (as this feature is derived from the engine) it has a good acceleration with WEP. This grants the machine reasonable zoom abilities. If chased, dodge away from your enemy with fancy manoeuvers without losing too much speed. In Realistic Battle try to do a climb spiral, but be sure you are in a better energy state! A miscalculation and the foe will have the opportunity for an easy deflection shot. However, there are also downsides. Top-speed can be reached quickly, yet it is not fast when stock. While it does have an edge in agility, it has bad low-speed manoeuvrability. Furthermore, these foes will not usually engage in manoeuvering combat; rendering this advantage moot. 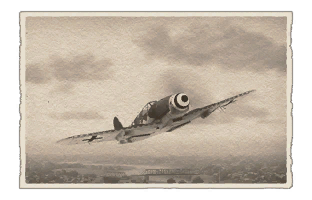 K-4 can outmanoeuver these planes at medium speeds (<450 IAS/kph): P-51 (all types), P-47D, Typhoons and the La-9. However it will have a hard time on dealing with other late Rank IV aircraft, especially Spitfires. It is highly recommended that you use rudder during rolls as this increases roll rate dramatically. This is useful if you're trying to force a dive overshoot or avoid shots. 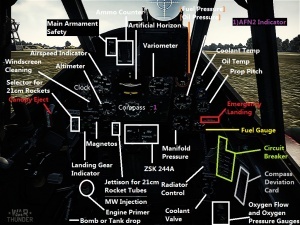 The Bf 109 K-4's instrument panel. The MK 108 is a double-edged sword: Nicknamed by the allies for its characteristic sound, the `Jackhammer´ is true to its name. Slow but powerful. Its main purpose: Demolition of heavy objects, such as fortresses, preferably B-17G. All this does not help for its common purpose in War Thunder: Hunting fighter planes. The cannon's rate of fire is extremely low, making it good for conserving ammo, but bad for deflection shots. Furthermore, the minengeschoß-shells are slow; very slow. Either one becomes very good at aiming their shots, or does the historic thing and closes the distance. Kills are generally done below 300 m/400 yards, if not closer. On the plus side, the damage is equivalent to most 37 mm cannons upon hitting. Tip: In order to better learn and understand the cannon's trajectory; do not fire with machine guns. The two additional machine guns are best fired alone. The MG 131 features HE shells (named IAI ingame) as Tracer belt. Yet they are only an interesting choice for Simulator Battle, where they will deal good damage to control surface areas, causing inexperienced pilots to lose control. In Arcade and Realistic battle however, the instructor will dampen any such effects. Here, the damage-based Stealth- and Fighter belt fare better. 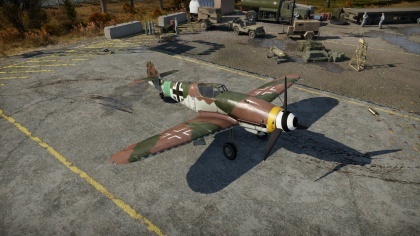 The plane should be played with 2 load-outs: either the single 30 mm Canon or 3 x 20 mm Cannons. The single 30 mm is very capable of taking out 2-3 bombers and the muzzle velocity matters less due to the large targets. The 3 x 20 mm cannons are very capable of taking out fighters due to the high shell density and 2 of your guns being on the wings. The single 20 mm does not deal enough damage and the 30 mm with gunpods is rather ineffective due to the different muzzle velocities. The true acceleration power is only unlocked very late into the grind. Especially Tier 4 Engine injection provides a significant boost and is top priority. On the way their all engine upgrades should be taken. 13 mm Belts are Helpful for removing tracer rounds. 20 mm Gun pods with belts and Gun upgrade are a viable choice but engine injection remains a priority. Very powerful engine when using WEP, providing excellent acceleration and climb rate. MEC can extend its climb rate and top speed RB/SB. Good performance at medium altitude. Good firepower for killing bombers. Performance on par with Griffon Spitfires (even better when fully upgraded). 30 mm cannon will destroy anything that it hits. Can research nose-mounted 20 mm MG 151 cannon. Low cannon ammunition count for the 30 mm MK 108 cannon and the 13 mm MG 131 machine guns. Low velocity 30 mm shell with high drop, resulting a VERY large lead angle on targets in turn leading to poor dogfight performance due to having to pull extreme turns to get guns on target. Flimsy frame, prone to react heavily to damage. Very heavy and slow to fly without WEP when stock. Stock 13 mm machine gun belts consist solely out of tracers. They alert the enemy aware of your presence, make aiming the 30 mm impossible, and do nothing else. Fighters with lower top speeds but better low altitude performances (such as Russia's La-7 fighters) will find it quite easy to run you down if you are at a low energy state. The Bf 109 K-4 was one of Kurfurst Bf 109 series, Kurfurst was the last series of 109 before war's end. The K series was the most upgraded and most expensive 109 and with war coming to an end not many were built. Work on the K series began in the spring of 1943 and prototype was ready by autumn of the same year. The series began production in August 1944 with the K-4 but due to changes to the design and delays with the new DB605D engine, the K-4 was the only one to be mass produced. Externally, the Kurfurst series had changes in radio equipment location hatch. A filler point for the fuselage fuel tank, and with removal of the D/F loop, were the main external differences to other Bf109 series. The landing gear also had doors that closed up the bottom completely and armament was the Motorkanone 108 (30 mm) , 2 x MG 131 (13 mm), with additional 2 gun pods of MG 151 (20 mm). Payloads included a 500 kg bomb or on rare occasion Wfr.Gr.21 Rockets (21 cm). Due to limited resources many of the variants didn't enter production. R III Schloß 503A-1 rack for one fuselage drop tank (300 L/80 US gal). R IV BSK 16 gun-camera in the left wing between nose ribs 3 and 4. R VI two 20 mm Mauser MG 151/20 under wing gun pods with 135 rpg. This page was last edited on 28 March 2019, at 17:46.